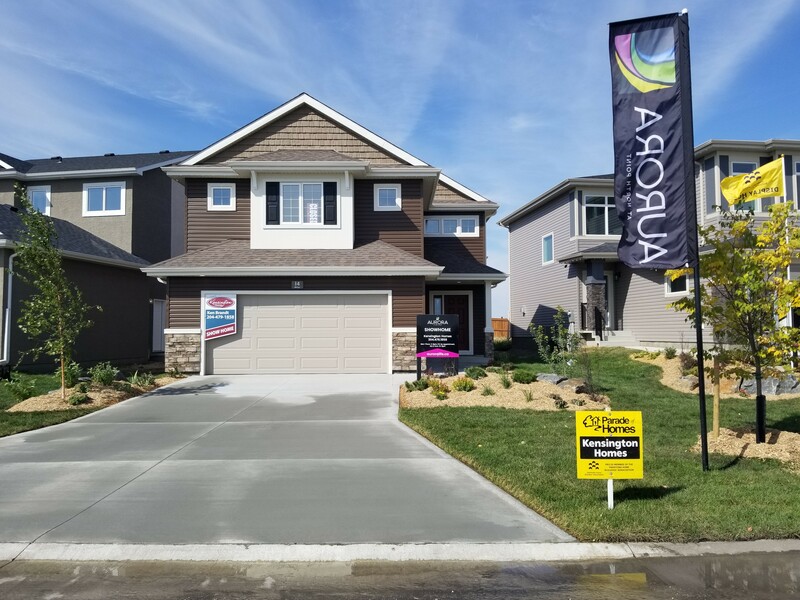 After whipping through our duplex plans in the area, Kensington presents a brand-new showhome in Aurora at North Point, the Capetown II. The spacious three-bedroom, two-bath cabover is a top-seller for good reason. With vaulted ceilings, and a masterful main floor layout, it’s easy to picture hosting your whole family or friends in this designer kitchen, great room and dining space. Already into phase four of the ten-phase neighbourhood, we caught up with neighbourhood developer Daytona Homes for an update on what’s to come for the growing community – and what distinguishes it from other new suburban developments. 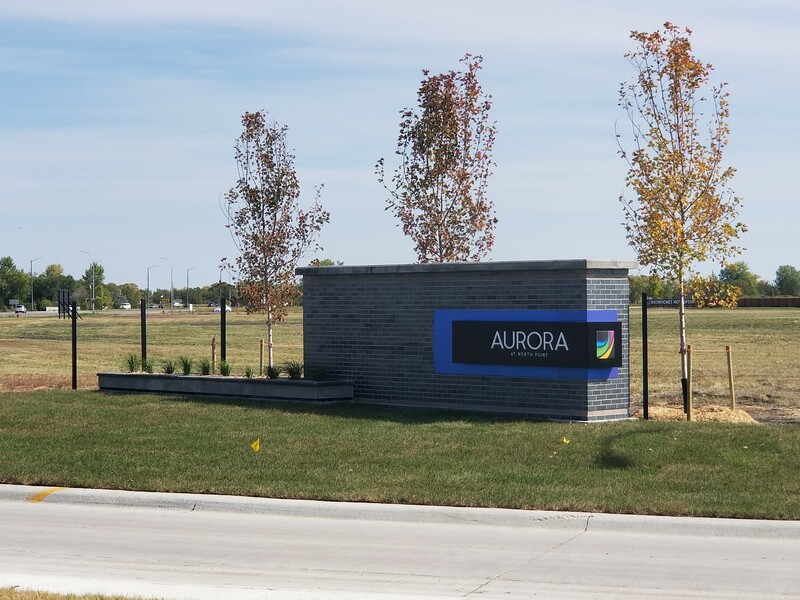 “The key thing that differentiates Aurora at North Point is instead of doing your typical single detached subdivision, we’re introducing six or seven housing types,” says Paul Moroz, senior development manager for Daytona. With four-storey apartment buildings, multiple townhome varieties, single-family housing and commercial space, Aurora at North Point is distinguished by the diversity of its offerings. As an area of the city known for active community parks and engaged neighbours, it was important to reflect this in the new development’s infrastructure. “We’re trying to achieve street-oriented housing – it makes for a more active, interesting streetscape, and becomes a little more functional,” says Moroz. Street-oriented housing features more windows, doors and porches facing the street, rather than the typical bulk of the garage, so housing looks more inviting – nearly physically inviting interactions with neighbours. 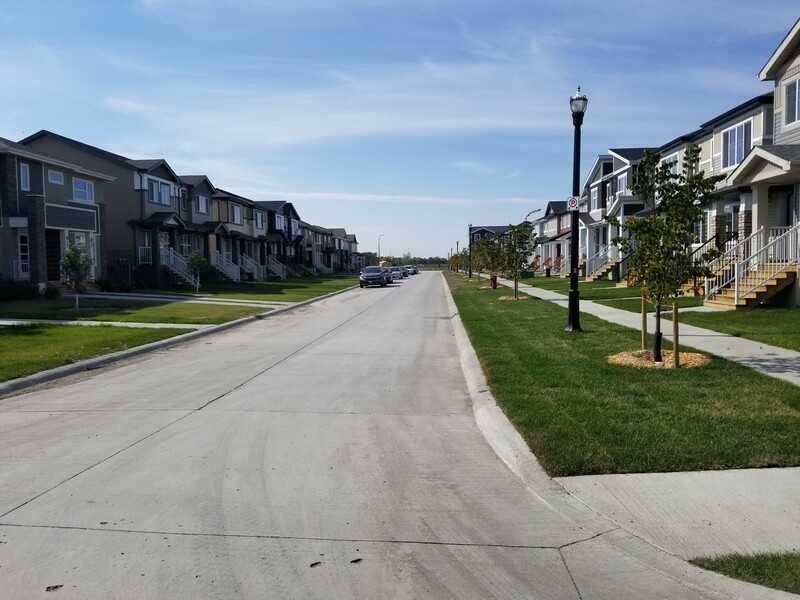 With naturalized landscaping beginning to mature and take on its desired aesthetic, the growing neighbourhood looks more and more complete and attractive. Pathways are already starting to fill up with pedestrians on their daily walks through their community. “People are starting to use some of these features… Naturalized landscaping takes time to establish. 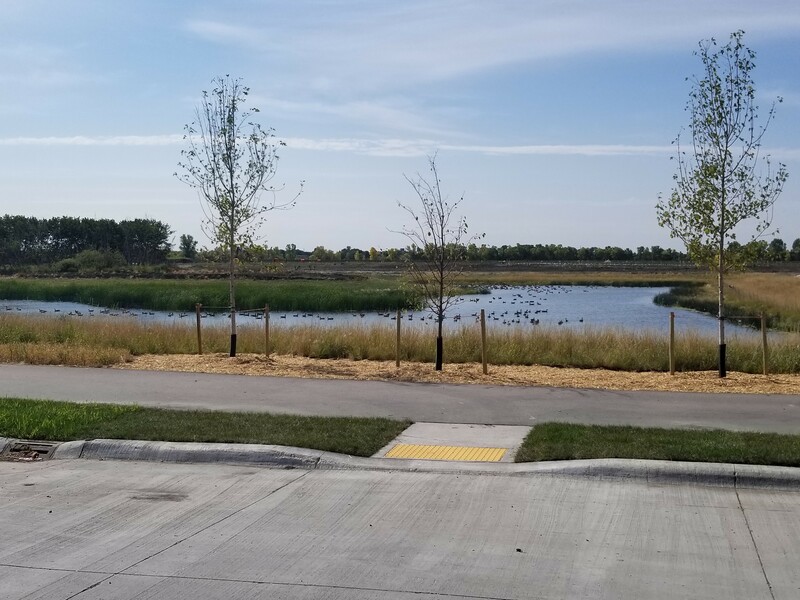 The pond naturalization’s really starting to come to life,” says Moroz, of the storm water retention pond anchoring the community. 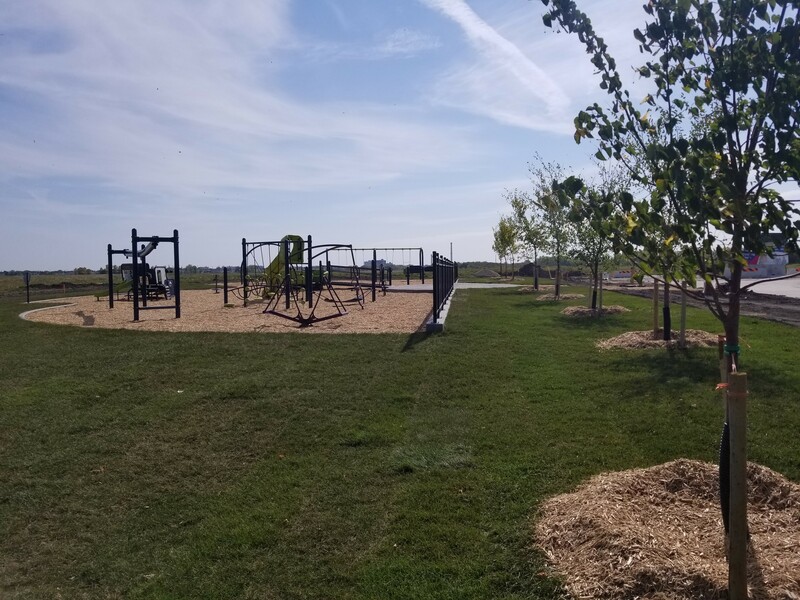 Recently completing a manicured park with components that are fully accessible, the new development is adding to perks in the nearby vicinity like the new multi-surface hockey rink in Garden City and indoor soccer facility on Leila Avenue. As commercial tenants are being scouted, and the eventual extension of the Chief Peguis Trail with pathways into the new development ramps up, the area’s only going to become livelier and more accessible as it continues to grow.